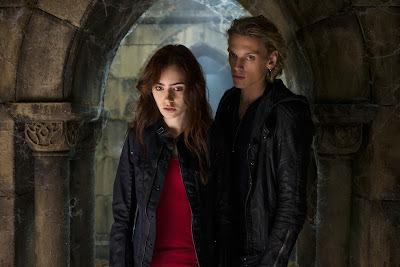 Breitbart has a great article talking about how The Mortal Instruments captures the essential tween elements. Rising stars? Lily Collins, daughter of rocker Phil Collins, is making waves with movies likeMirror, Mirror and The Blind Side on her resume. Co-star Jamie Campbell Bower formerly appeared in the Twilight franchise and dated Collins for a spell--shades of the Kristen Stewart/Robert Pattinson real-life romance. Nothing is preordained in Hollywood, but The Mortal Instruments has the proverbial deck stacked in its favor. It's no accident than a second film in the budding franchise is already slated for a 2014 production. Go check out the rest of the article at Breitbart.